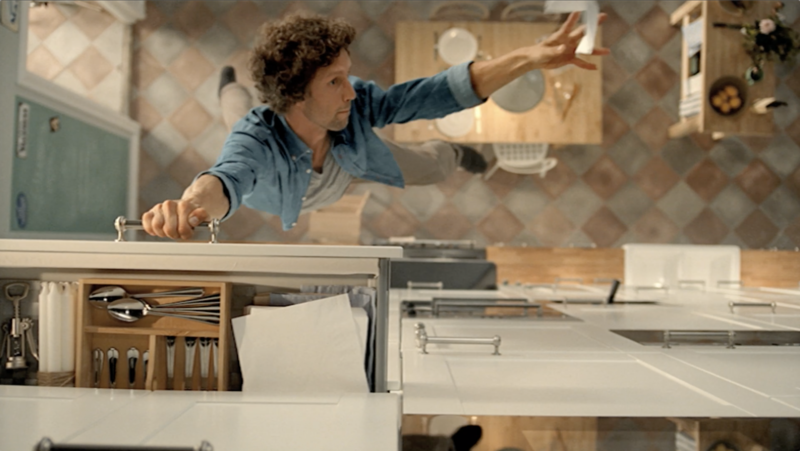 Tomas Mankovsky studied Advertising and Design at Beckmans College in Stockholm and his exam project, the short film Little Big Love, went on to win numerous awards including one at Stockholm Film Festival and earning him the Ung Svensk Form Scholarship and the new talent Kycklingstipendiet at the Swedish Guldägget awards. Upon graduating Tomas was offered a job at ad agency Fallon in London and moved to work professionally in advertising. During his time as a creative Tomas worked on some of the most creatively acclaimed ad campaigns for Sony, Orange, Cadbury and BBC earning him over 25 coveted advertising awards from Cannes, D&AD, Clios, Epica, BTAA and the Creative Circle. He was named a Creative Futures by Creative Review as well as a Young Gun by the Art Directors Club in New York. While working at Fallon Tomas shot the short film Sorry I’m Late, which became a viral success and ultimately led him back to directing. Mankovsky’s desire to work closely with ideas and the whole creative process made him jump ship and direct fulltime. Over the course of his 10-year directing career, Mankovsky has created an impressive and eclectic body of work including commercials, music videos and short films. He has helmed spots for clients such as IKEA, Diesel, Playstation, H&M, Cadbury, Nissan, O2, T-mobile, Infiniti, Telia and E-on. Recently Tomas helmed a project for IQ through Forsman & Bodenfors, earning him a Silver egg in Film at the 2018 Guldägget awards. Tomas splits his time between Stockholm and LA and if he doesn’t shoot commercials, he develops longer formats, is found sailing with his daughter, or tries to remember how to play the piano.